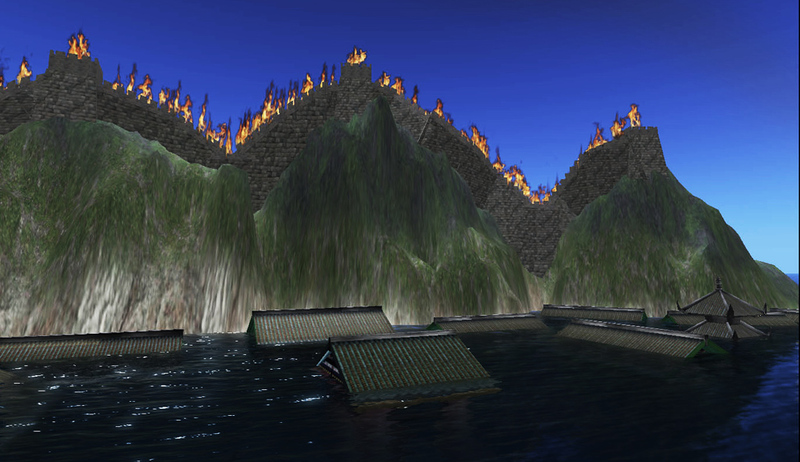 The Great Firewall and Sunken City is a 3D environment constructed in Second Life online virtual world, with symbolic structures commenting current social and environmental issues of China. The Sunken City, a recreation of a real historic site, is an emblem of cultural heritage losses particularly caused by Three Gorges Dam, the world’s largest hydropower station, while the Great Firewall obviously points to Internet censorship effectively suppressing freedom of expression. The artists employ the spacial relationship inside 3D virtual world to indicate how varied problems are connected, tangled. About the artists: Lily & Honglei (Xiying Yang, Honglei Li) work as a new media artist team in both Beijing and New York. 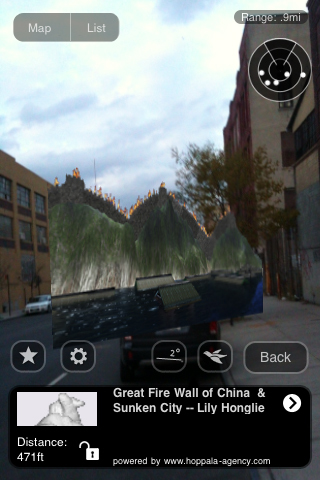 Their projects utilize traditional painting techniques and digital imaging technologies including animation and virtual reality, to construct an in-between space reflecting Chinese cultural heritages and current social issues in the context of globalization.